Let’s talk about JSE Coin. If you haven't heard about them yet it's probably because they are so new, they just launched around 40 days ago and this coin has not been released on public exchanges yet. 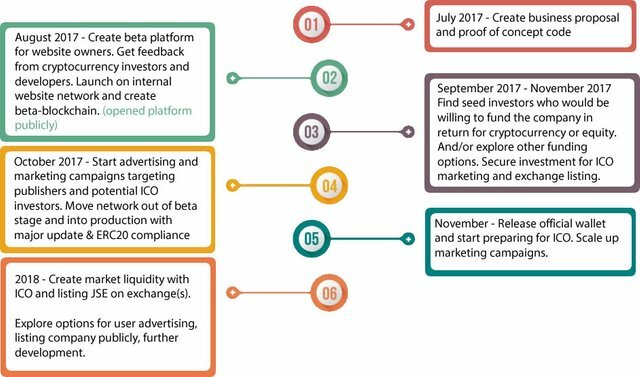 Their timeline in their published whitepaper which can be found HERE says JSE Coin will be released to public exchanges in 2018 at 1JSE=$1USD. I got involved with JSE Coin a little over a week ago and last time I checked a few days ago they had just passed over 10k users. Now because they have not been released to public exchanges yet this is considered a Pre ICO Opportunity and they are currently offering limited time sign up & referral bonuses for early users with no purchase required so you can start collecting this coin for free right now. Only requires a name, email, address, & then to confirm email to sign up & start collecting free cryptocurrency. There are many benefits to being an early adopter of a cryptocurrency especially when there are opportunities like this to collect some at no cost. Imagine if you started collecting Bitcoin when it was $1 or less! 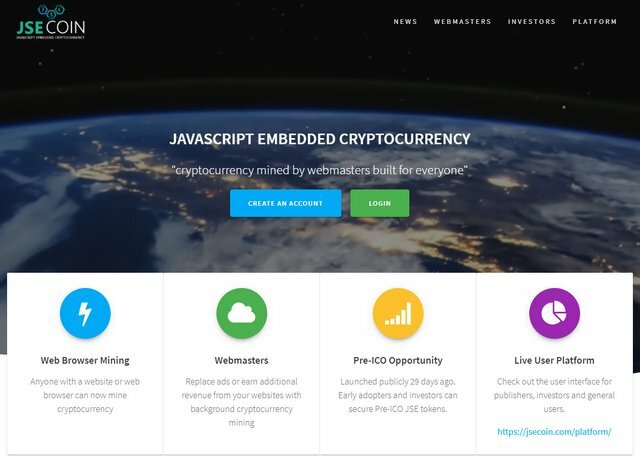 I think the idea to use cryptocurrency mining to monetize websites rather than just ad space is going to change the internet! Most people don't like ads. I would like to know what everyone thinks about this new cryptocurrency especially if you consider yourself to be very knowledgeable about crypto or if you are a webmaster! Even if you don't want to sign up, I'd like to get everyone's opinions & thoughts on this new coin! 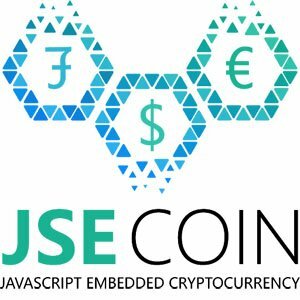 Sign Up Here & you will receive 0.12JSE Coin as an early user's sign up bonus & then you can get 3.5JSE for each user that you refer! @steemcleaners & @adm I tried to remove my post on bitcointalk but they won't allow me to. I get a message saying that I can not delete my own topic. So to prove it was my post, I commented on it asking bitcointalk admins how to delete post and telling Steemit admins that it is my post. If you go look, you will see that the comment I put and the original poster are the same username, the same person, me. Did you remove the steem that I earned for this post? Where did it go? The @OriginalWorks bot has determined this post by @pizzagainz to be original material and upvoted it! For more information, Click Here! || Click here to participate in the @OriginalWorks writing contest!